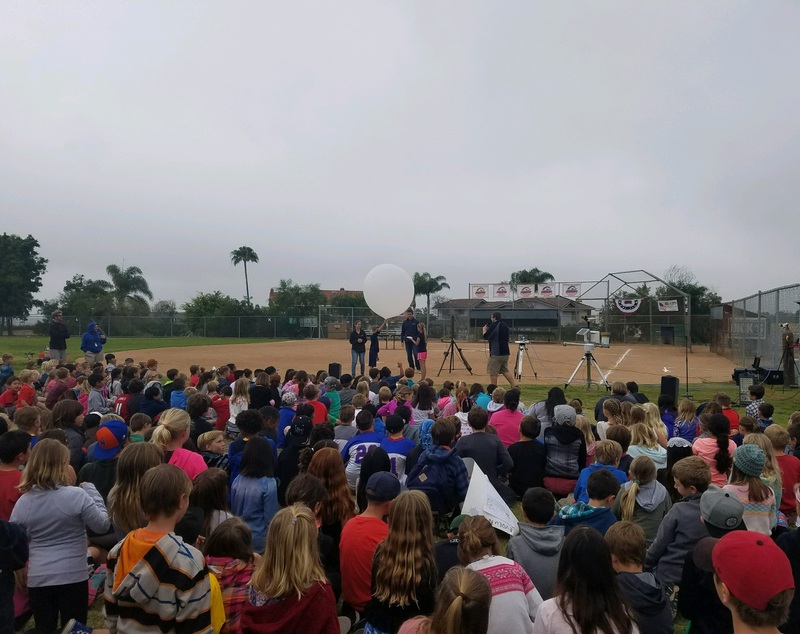 CW3E’s Brian Kawzenuk, Chad Hecht, and Anna Wilson recently visited La Costa Meadows Elementary School to discuss some of the unique observations and tools that meteorologists use to study the atmosphere. Over 1000 students from kindergarten to fifth grade joined to observe and discuss meteorological ground instrumentation and a weather balloon launch. Discussion focused on how the instrumentation works, what they measure, how the observations can be useful to understanding the atmosphere, and how this knowledge and research can be used to improve forecasting and water resource management. During the demonstration students were actively engaged, asked numerous questions, and two assisted in releasing the weather balloon. After the balloon launch, fourth and fifth grade students were invited to a more in depth discussion and presentation on meteorology, which focused on several aspects that are related to their science curriculum. Topics covered included data gathered from radiosonde launches, radar and satellite observations, storm systems and fronts, and forecasting and atmospheric models. This discussion gave students the opportunity to discuss and ask more questions about the atmosphere and how it is studied. Overall, the event proved to be a valuable experience for both students and staff. 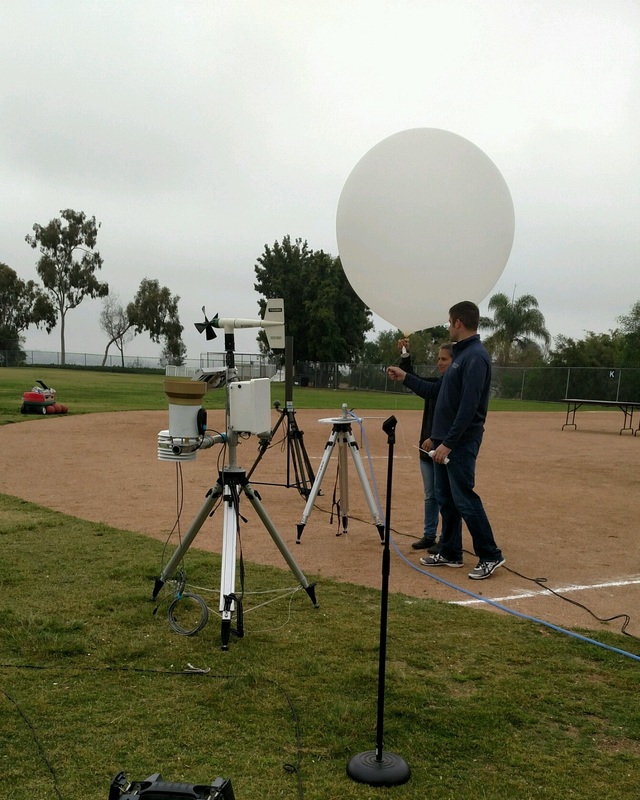 Left: Anna Wilson and Chad Hecht prepare a radiosonde and weather balloon at La Costa Meadows Elementary School. Right: Brian Kawzenuk describes the process of performing a weather balloon launch while Chad and Anna prepare to hand off the balloon and radiosonde to two students.